In the year of 2018, the St. Stephen's Day's bread is the so-called "Várhegy Deres”. 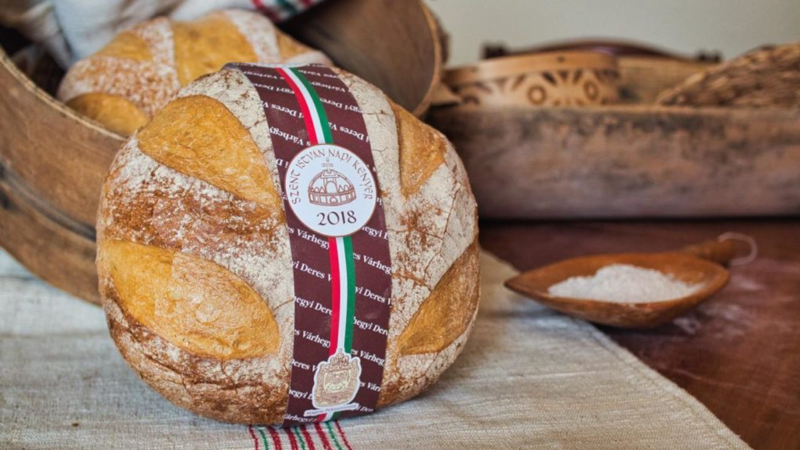 This year's winner, the Kurdy Family Pék Ltd.'s Várhegy Deres fantasy bread, according to the announcement, is a white bread made with a traditional pastry, aged for 12 hours. The loose, crunchy, rounded and characteristic bread is the highest art form of bread making. This year’s competition organised by the Hungarian Baker's Association run in 3 categories. The winners of the white bread, rye bread and innovative bread categories will also be shown on the Street of Flavours on the weekend. The country's official cake is Hungary's "birthday cake” as well, which is also showcased, of course. 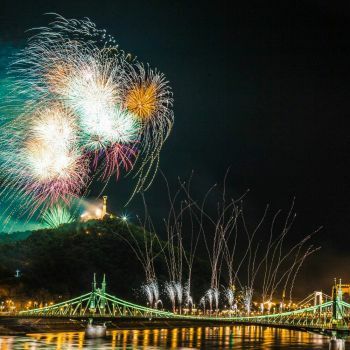 At the request of the Government of the Republic of Hungary, the National Association of Hungarian Pastry Manufacturers created the country’s first official cake for the celebration of the 20th of August 20, back in 2007. Since then, the competition has been held year by year, where the country's best pastry makers compete against each other. In 2018, Jánoska confectionery created “Komárom Kisleány” that won the honorary title to be the Cake of Hungary. Ádám Sztaracsek, the confectioner dreamed this cake with honey-walnut noodles, pears, chocolate, and vanilla cream filling with cinnamon and ginger flavour. Since 2012, the foundation “ Egy Csepp Figyelem Alapítvány” and the Hungarian Association of Confectioneries create together the Sugar Free category. Competitors for the title must prepare their cake without white flour, added sugar and any artificial additives and preservatives. The aim is to raise awareness of the importance of a healthy lifestyle and the spread of sugar-free recipes in pastry business. 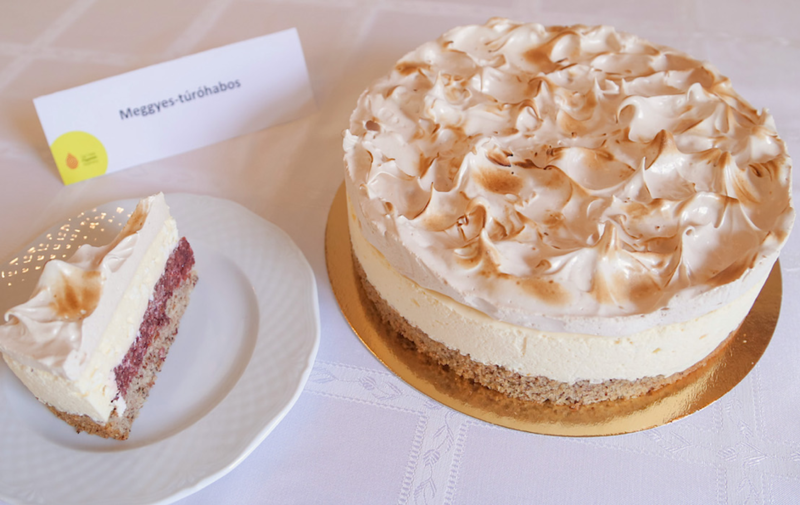 The winning sugar-free cake is called “Meggyes-túróhabos” made by the Nádori Confectionery in Budapest, which contains no white flour or added sugar indeed. Three of its most important ingredients are walnut almonds, sour cherry and chopped raspberries.